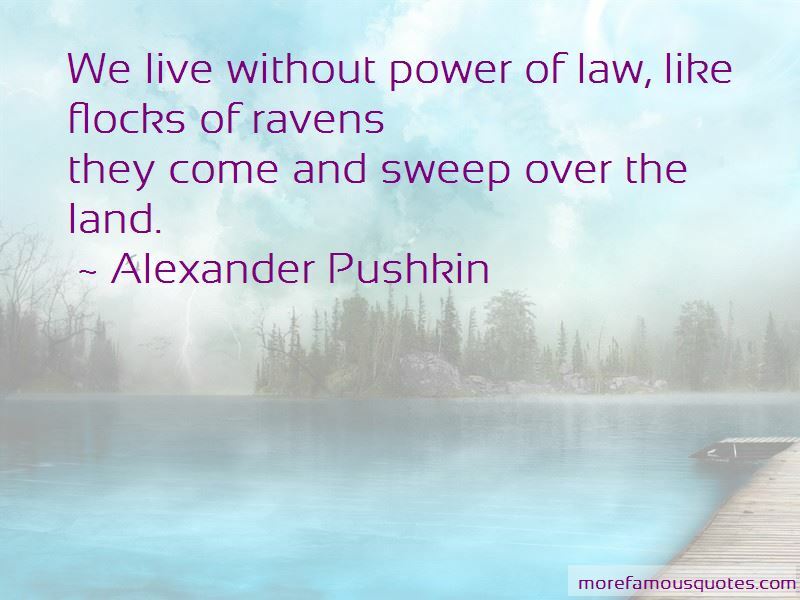 Enjoy the top 80 famous quotes, sayings and quotations by Alexander Pushkin. Except of course ourselves alone. Since feelings are for freaks and fools. He filled a shelf with a small army of books and read and read; but none of it made sense.. They were all subject to various cramping limitations: those of the past were outdated, and those of the present were obsessed with the past. People are so like their first mother Eve: what they are given doesn't take their fancy. The serpent is forever enticing them to come to him, to the tree of mystery. They must have the forbidden fruit, or paradise will not be paradise for them. “Ecstasy is a glass full of tea and a piece of sugar in the mouth. It's a lucky man who leaves early from life's banquet, before he's drained to the dregs his goblet - full of wine; yes, it's a lucky man who has not read life's novel to the end, but has been wise enough to part with it abruptly - like me with my Onegin. And these days I've come to prefer the more steady Bordeaux. I am no longer up to champagne from Ay: it's like a mistress: sparkling, flighty, vivacious, wayward - and not to be trusted. But Bordeaux is like a friend who in time of trouble and misfortune stands by us always, anywhere, ready to give us help, or just to share our quiet leisure. So raise your glasses - to our friend Bordeaux! What is renoun?more false than hope by dreams engendered. The wages of a bitter heart. To see when death will come at last. He's happy now, he's almost sane. they come and sweep over the land. Ja volim samoubilacki-krvnicki nemilosrdno i brutalno. Necu drugacije. Ko to moze da izdrzi, a upoznah samo jednog. 'Moja je krv moj put do tebe. It was thought that the confession of the accused was indispensable to his condemnation, an idea not only unreasonable, but contrary to the most simple good sense in matters of jurisprudence; for if the denial of the accused is not accepted as proof of his innocence, the confession which is torn from him by torture ought to serve still less as proof of his guilt. I do not like Moscow life. You live here not as you want to live, but as old women want you to. Fearing no insult, asking for no crown, receive with indifference both flattery and slander, and do not argue with a fool. With womankind, the less we love them, the easier they become to charm. Try to be forgotten. Go live in the country. Stay in mourning for two years, then remarry, but choose somebody decent. Want to see more pictures of Alexander Pushkin quotes? 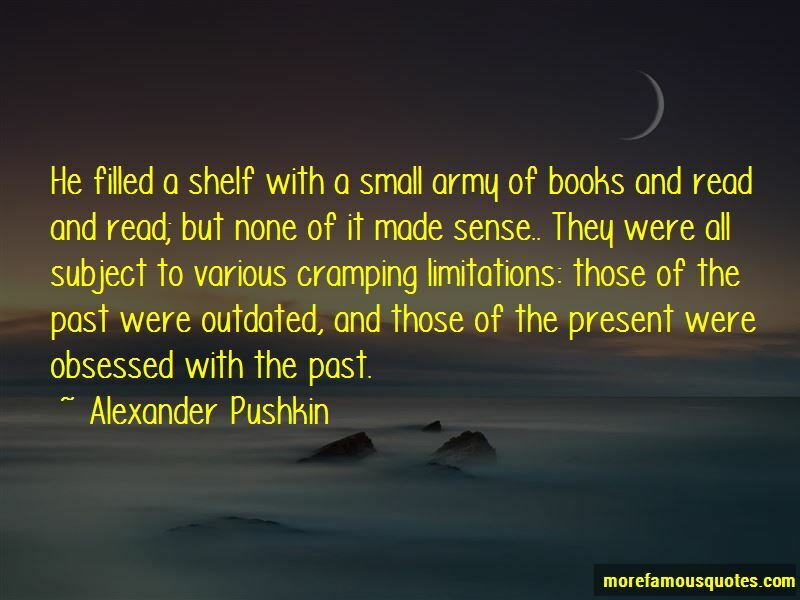 Click on image of Alexander Pushkin quotes to view full size.